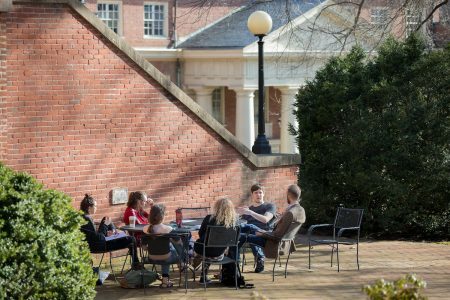 Randolph College recently ranked 14th in MONEY magazine’s “46 Best Colleges for Getting Big Merit Scholarships,” and is the only higher education institution in Virginia on the list. Randolph and the other schools were ranked by a combination of the percentage of students who receive aid, the size of the average grant, and the affordability of the college for those who receive the grants. Where two or more schools share a rank, there was a tie. The list also included average earnings of those who graduated within the last five years, as reported to PayScale. See the full list of rankings at http://time.com/money/4894643/best-colleges-merit-aid-scholarships/.